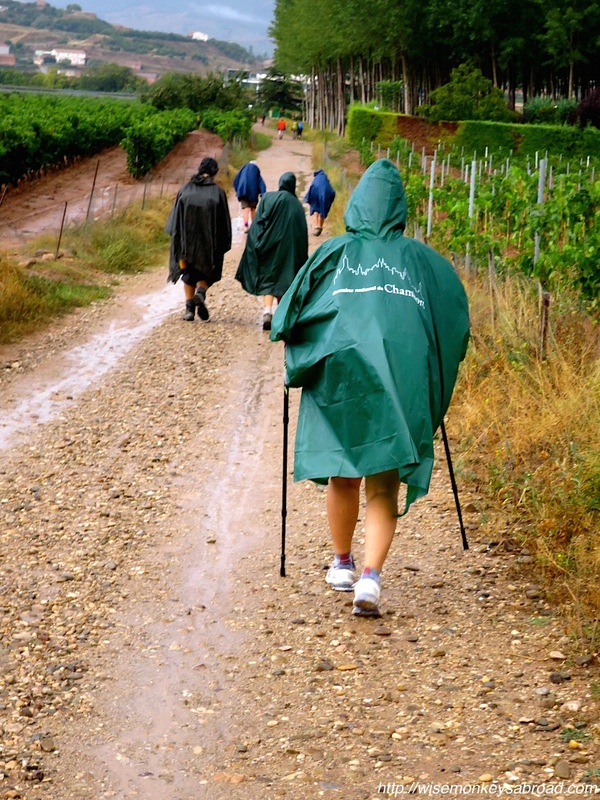 I don’t know how you managed to keep up with your blogging while on the Camino. I’ve been busy here at home and I’ve let it become an excuse for not reading other people’s posts as much as I should (sorry… I’m catching up now and loving your photos… they make me wish I’d been there with you!). Blogging in the evenings when you must have been exhausted… Now that’s endurance! I look forward to reading your posts in the coming weeks! Thanks Cris – we are staying positive that we will get there. One step at a time! That glorious view should be enough encouragement to keep on walking. I’d be wanting to find out what was around the next corner every day. Well done. Yes – it does keep us going. Sometimes as we HOPE the next corner is a “downhill” or a town… it is just another hill – hehehe – But it’s all in the name of experience! Lucky you’ve got each other to motivate you. Thank Ken 🙂 We always smile when we read your comments! Oh yah, I remember it all to well. Good one! Oh, you are fulfilling a dream of mine! This is a very appropriate submission for the theme! Thank you 🙂 It was something we felt we needed to do and it really is wonderful! How awesome is that!! What a wonderful undertaking. Hope you make it to the end. Thank you 🙂 One step at a time!! Looking wet. Have you mentioned how many people are actually doing this walk? There are many pilgrims!! Each year, there are approximately 100,000 pilgrims but you can start and finish at any stage you wish. We would only be guessing but we easily see at least the same 30 throughout the day and plus all the others who are way ahead or far behind that we don’t ever get to see. There would be somewhere above 100 a day we reckon leaving St Jean Pied de Port (which is the “common” starting point for the walk) around the same time as us. Depending on the season obviously there would be lots more or less! If you are asking specifically, how many people are walking with us? We are not walking in a group, it’s just us. Most people tend to walk this solo or in pairs, or smallish friendship groups! It’s a haven for meeting people and people tend to then walk stages together. Wow mammoth effort!! How far have you walked so far? Definitely deserve a good massage and soak in a bath (or hot springs if there’s one) after you’re finished! Yes… plodding along slowly!!! 🙂 Thanks Janet! !